I don't know about you guys, but I have noticed a significant performance boost since switching from my 1ghz single core Nexus One to my dual core 1.2ghz (1.8ghz with overclock :-D) HTC Sensation. Gaming wise, the extra power is pretty easy to see, and there's no denying that for specific applications, it sure does make a huge difference. But according to Nokia CEO Stephen Elop, dual core and quad core phones are simply a waste of battery and "not useful" to consumers. That was the translation that Unwired View has from an intervew with Yangcheng Evening News (Chinese News Outlet). It's not really a suprise that Stephen feels that way, conisdering that Nokia's OS of choice (Windows Phone) doesn't truly support dual core devices. But what makes no sense to me is why the Windows Phone team are reportedly testing the dual core 1.5ghz Qualcomm MSM8960 CPU, and that a Windows dual core device will reportedly land later this year. Huh? And then yet again, WP7 unit boss Andy Lees explained that a mutli core phone was in the pipeline to compete with Android devices. So which one is it Stephen? If they aren't useful to customers, why are you working on one? For me personally, this is a no brainer. Yes, dual core devices do tend to have battery drain, but then again, so did my single core Android phones. I get a day and a half with moderate usage out of my phone now before having to recharge my battery, so I'm not complaining. And I really see a difference when running graphic intensive games like Riptide or Deadspace. What I DO wish we would see more of is memory. Damn near every high end Android phone is still limited to 1 gig of RAM. 2 gigs of RAM would SURELY bring a nice performance boost, especially considering how Android allocates memory. The other thing that doesn't make headlines much is news on BETTER BATTERIES. Surely if we can get 4 processors into a phone (fun fact: my HTC Sensation specwise is more powerful in many ways than the computer I had in 2005), engineers can design better batteries. I read about new battery concepts all the time, but in the end for some reason, they never seem to become integrated into devices, and remain "concepts" for years and years. Even Apple is on board the dual core bandwagon, although surprisingly they opted not to include a quad core processor in the new iPad. I think anyone who has ever used the orginal iPad and the iPad 2 will be quick to tell you that the dual core iPad 2 is a much faster device. Not that I'm saying that it's ALL about the processor. But I think there is enough evidence to show that they do in fact make a difference. What do you guys think? Does it actually make sense to have phones/tablets with dual and quad core processors, or is it simply a waste? More cores and Faster Processors are better and you feel the difference ! i don't know, i kind of agree with him. i'm not 100% sure that the android core fully utilizes a multicore processor. if you just went in and optimized your code for a single core instead of throwing more processing power (and thus a shorter battery life) you'd get positive results. the real milestone gonna set by s3 which will break all the records set by s2 or any othwr else. yeah. i forgot that 1.
i read that review.. it isreally good to have..
Actually, I think the Huwaei one is supposed to be way faster than Tegra 3. Cant wait to benchmark it. lol...i think so too. 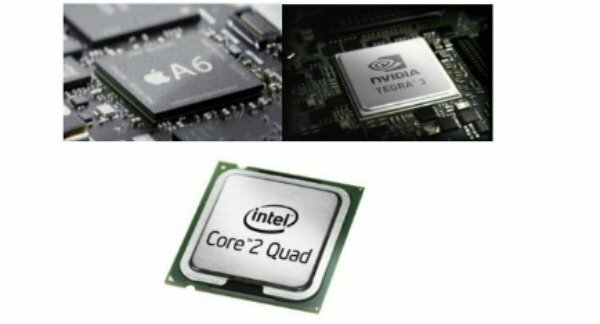 Question is now, with so many different quad core processors, which one to go with? yup.... i heard the news of s3 in last june that samsung gonna release it very soon rnd abt nov or dec 2011. Agreed. WHEN is the question though! LOL. They seem to be taking forever to release that device. me 2 eric have seen perfirmance boost. i switched from 600 mhz (galaxy 5) to 1.4 ghz dual core (note).